Every year on the second Tuesday of December, this special event offers you the chance to converse with an entrepreneur over a cigar and a beer. The event begins with moderated questions to a featured entrepreneur. You will enjoy hearing about the entrepreneur’s journey, challenges, successes, as well as his or her views on the state of entrepreneurship locally, regionally, nationally and globally. Then we open it up for questions from the attendees. What better way to have these conversations than over a cigar and a beer (well, wine or a soft drink is okay, too). This event takes place at The Humidor at European Village in Palm Coast, providing a fantastic atmosphere, ideal for these smaller events. Steven Morris is a licensed real estate broker in both California and Florida. 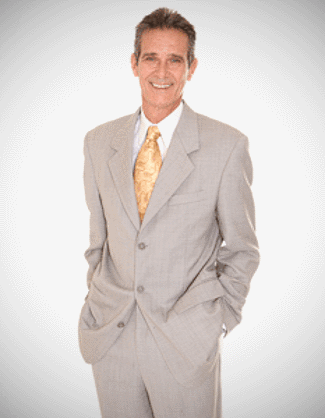 Mr. Morris has been in the real estate industry since the late 1970’s and has over 6,000 transactions. Mr. Morris is also a national trainer, coach and a published author. Tweet and let others know that you’re going to this event! Just come by on the night of the event. Coming from I95 take exit 289, drive East on Palm Coast Pkwy. Follow Palm Coast Pkwy eastbound all the way to the Toll-Bridge, turning right, exiting onto Palm Harbor Parkway just before the toll-bridge. European Village is right under the bridge. If you’re unsure of the directions, use your GPS. Drive safe! 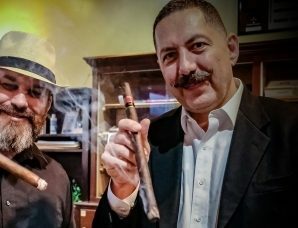 Remember, this Cigar & Beer Event always takes place on the SECOND TUESDAY of DECEMBER once a year, while Entrepreneur Night takes place on the last Tuesday of the month, monthly (except in July, August, December).